Computer systems can be an excellent resource while they work, but once they are old or damaged, they can be challenging to get rid of of. The various parts of your computer are loaded with harmful substances, harmful toxins, and pollutants to make them perform, however, if they are not disposed of properly it can lead to problems. Recycling is not a well known solution for getting rid of PCs, primarily because it can be a bit challenging to do sensibly. There are several computer recycling programs around the nation, but many PC users are unaware of the options available. An excellent choice is to check and see if your PC manufacturer has a recycle system. Some retailers offer PC recycling programs including Staples and Best Buy. Although some organizations often charge a fee and require you to pay and do the packaging and delivery, it is still a very safe choice. If you are planning on purchasing a new Mac computer, Apple provides a free recycling program to its customers. 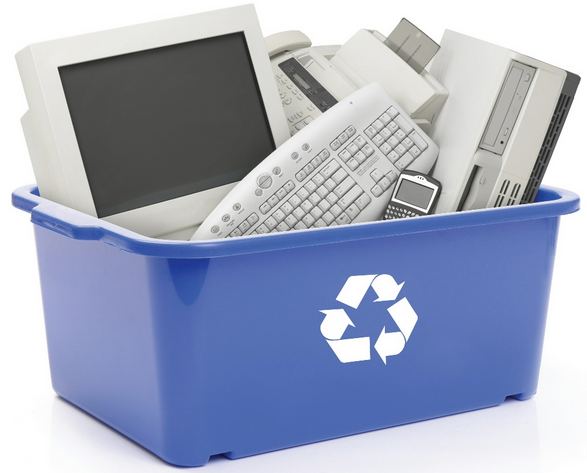 For more information and tips on recycling your old PC or other electronics, the U.S. Environmental Protection Agency (EPA) provides a great resources on their website. Despite there being several other options, it is possible that some may not be as legitimate as they want you to believe. If you take your PC to a less well known recycling program that charges a fee, voice your concerns to them. Any reliable buyer should be able to tell you exactly where PCs and electronics are sent to be recycled. If you give your computer to an organization that also donates PCs for reuse, you can also ask what organization(s) will acquire the old devices. If they cannot respond these concerns, it is best to discover another position to give to. They should also be able to tell you details about how they destroy existing data that may still be on your hard drive to maintain your privacy and prevent data from getting into the wrong hands. To be more cautious if you are donating your personal computer, you should have the disk drive cleaned in advance to lessen the chance of stolen data. Another option is the eBay Instant Sale program, which allows you to earn cash to spend on eBay when you trade-in your old electronics. Free Geek also has a record of similar organizations that can be a good way to start your digital recycle or the use of your machine.